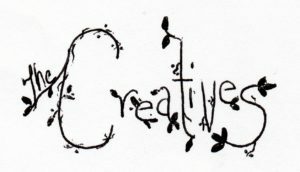 ~Where you can see me play, or see my art! SATURDAY, MAY 18, 2019 SONG MEETING, COME SHARE YOUR SONGS! 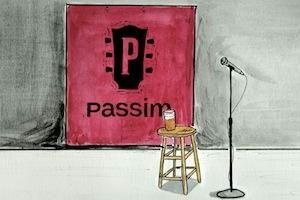 SATURDAY, APRIL 20, 2019 SONG MEETING, COME SHARE YOUR SONGS! SATURDAY, MARCH 16, 2019 SONG MEETING, COME SHARE YOUR SONGS! 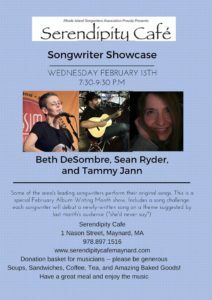 SATURDAY, February 16, 2019 SONG MEETING, COME SHARE YOUR SONGS! SATURDAY, January 19, 2019 SONG MEETING, COME SHARE YOUR SONGS! SATURDAY, December 15, 2018 NEW LOCATION!!! NEW TIME!! 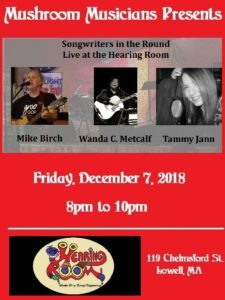 I will be performing my original songs as one of the three featured Musicians in the Songwriters In The Round at The Hearing Room 119 Chelmsford Street, Lowell, MA. SATURDAY, November 17, 2018 NEW LOCATION!!! NEW TIME!! SATURDAY, October 20, 2018 NEW LOCATION!!! NEW TIME!! NASHUA ART WALK – I am registered to show my art at RJ Finlay, 30 Temple Street, Nashua, NH during the Nashua Art Walk! ArtWalk Weekend 2018, Nashua’s premier arts festival, for October 14 and 15. Stop by my booth and say hi, I will be there on Saturday 11am to 5pm and Sunday 12pm to 4pm. 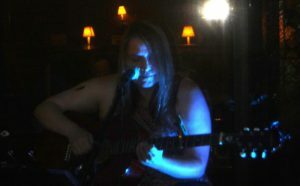 Performing in the duo “The Creatives” at a private event in NH. SATURDAY, September 15, 2018 NEW LOCATION!!! NEW TIME!! SATURDAY, August 18, 2018 NEW LOCATION!!! NEW TIME!! SATURDAY, February 17, 2018 NEW LOCATION!!! NEW TIME!! SATURDAY, January 20, 2018 NEW LOCATION!!! NEW TIME!! 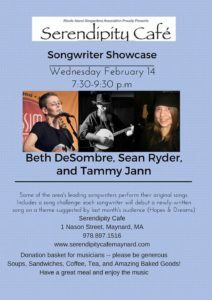 SONG (Songwriters of New Hampshire Group) – All songwriters at all levels welcome to come share their original songs, melodies and lyrics. Friendly group. Meetings are the third Saturday of every month from 1pm to 3pm at Guitar Gallery, 5 NH-101A #4 Amherst, NH 03031. NASHUA ART WALK – I am registered to show my art at RJ Finlay, second floor, 30 Temple Street, Nashua, NH during the Nashua Art Walk! ArtWalk Weekend 2017, Nashua’s premier arts festival, for October 14 and 15. Stop by my booth and say hi, I will be there on Saturday 11am to 5pm and Sunday 12pm to 4pm. 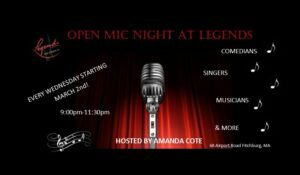 LEGENDS OPEN MIC – Amanda Cote hosts the open mic every Wednesday from 9pm to 11:30pm at Legends Bar and Grill, 68 Airport Road, Fitchburg, MA 01420. SATURDAY, December 17th, 2016 CANCELLED DUE TO SNOW!!! See ya in January!! NASHUA ART WALK – Not only can you purchase my art on my Society6 page, but I will be selling my art prints, cards and magnets at the NASHUA ART WALK in OCTOBER! 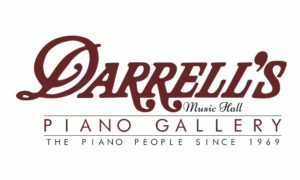 Come see me in the amazing venue of DARRELL’S MUSIC HALL, 75 Main Street! I am so happy to also offer the convenience of the Square Reader to make purchases easier! , but please mark the date if you are interested in purchasing something OR just visit me, any encouragement or friendship is very welcome! HOMELESS VETERANS STAND DOWN in Nashua, NH – I will be playing guitar (no singing) from 12pm to 2pm during this yearly fundraiser. Stand Down afforded battle-weary soldiers the opportunity to renew their spirit, health and overall sense of well-being. I am very proud to donate my time to this event! 45 High Street, Nashua, NH. 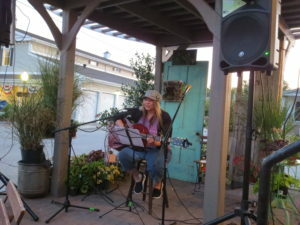 SIMPLE GIFTS COFFEE HOUSE OPEN MIC – Simple Gifts Coffee House hosts an Open Mic on the third Thursday of each month. Admission will be $5 for all, including musicians. The Unitarian-Universalist Church of Nashua, NH, 58 Lowell Street , Nashua, NH 03064. CROWNE PLAZA HOTEL BOB AND MIKE’S OPEN MIC – Acoustic Open Mic at the Crowne Plaza Hotel (out on the deck) in Nashua NH! 2 Somerset Pkwy, 6pm to 9pm. 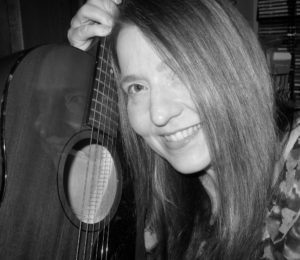 FRIDAY, June 24th, 2016 – my one year Anniversary of doing open mics…YAY! 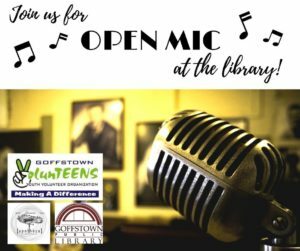 APOTHECA OPEN MIC – The Goffstown Library hosts an Open Mic on the fourth Friday of each month. Apotheca Flower & Tea Shoppe, 24 Main St, Goffstown, NH 03045.